At Ohler & Holzhauer, we install quality products with names you can trust. If you have questions about the different types or brands of equipment, we are here to answer your questions. A friendly and knowledgeable technician will sit down with you and discuss your needs. Our technicians are fast, friendly and efficient. 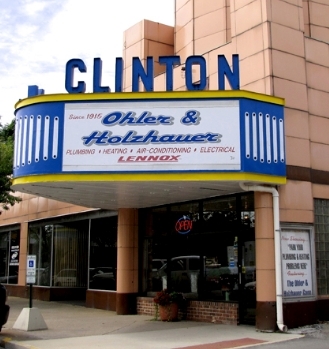 Whether routine maintenance, new installation or repair work, you can be assured Ohler & Holzhauer will perform in a professional and courteous manner. That’s why we’ve been in business since 1915! Call our office today at 419-732-2121 to schedule your appointment. We install Carrier and Lennox air purifiers, cleaners and humidification systems, which help reduce concentrations of allergens and other contaminants in the air you're breathing in your home. We install Lennox, Carrier, and Heil forced air heating and cooling systems and Weil-McLain boilers. We also install Carrier geothermal heating systems as well as radiant heating systems. We install Rheem water heaters and Navien tankless water heaters. We also do gas line work, plumbing service and repairs, whole-house plumbing, new construction and remodel for both residential and commercial.